Which Cat Breed Sheds The Least: Got Pet Allergies? 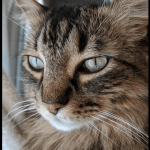 For more information on hypoallergenic cats, you can read our in-depth post about cat allergies (and how to pick a hypoallergenic cat breed) here! Besides the allergy aspect, you may also consider low shedding cats for your own personal lifestyle. 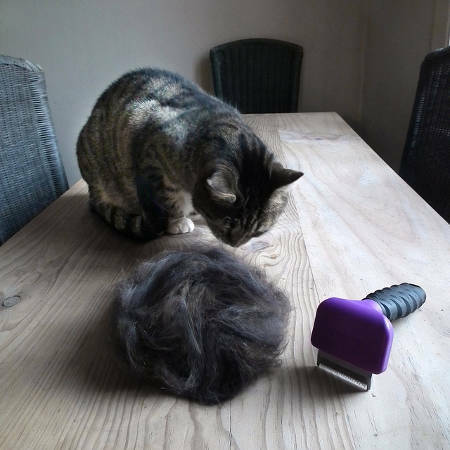 For example, if you are someone that wont be home much or won’t have time to groom, I wouldn’t get a kitten or long hairs. Then this is a whole new ball of wax. (or yarn) If your kids are a bit aggressive (young or older) you might not want to get certain Siamese or Chausies. With this piece, I’m going to delve into the allergy aspect. I want to say, that it’s not really the cats itself that makes people have allergies, it’s the dander. Not all people are as accepting of cat hair as I am. Some people are allergic; some just don’t like the mess. The good news is that for people in both camps who have always wanted a cat of their own, there may be a suitable feline housemate that fits your non-shedding requirements. Basically, the immune system makes antibodies to fight off substances that could hurt the body (such as bacteria or viruses). If you have allergies, your immune system may mistake an allergen (such as cat dander) for something harmful, making your body do all kinds of things to fight it off; like flushing your system (watery eyes, running nose, etc). Such reactions usually leave traces, which is why your eyes can become red or you may produce a rash after you’ve come into contact with the allergen. Cats tend to cause the most allergic reactions and are twice as common as dog allergies. About 20-30% of those who suffer from allergic asthma report their symptoms to flare after being in contact with a cat. Cat-related allergies can take anywhere from a few minutes to a few hours to appear. The ASPCA reports that 11% of adopted cats are returned to shelters each year because their new owners are allergic. Most people think it’s that troublesome cat hair that causes their runny eyes and fits of sneezing, but the symptoms are really a reaction to proteins found in a cat’s saliva, urine, and dander. Aside from eating, sleeping and visiting the litter box, what else does your cat regularly do? One lick at a time. Pharmaceutical companies have made a small fortune off of those of us who suffer on through stuffy noses and mild sore throats. Nasal sprays, antihistamines, and decongestants are the first line of defense and often do the trick. However, they aren’t a long-term option, as using these regularly can cause high blood pressure among other health problems. There are also allergy shots that are a Godsend to some but do next to nothing for others. But are some breeds of cats less allergy-causing than others? Can you be allergic to one cat, but not another one? How Do I Know If I Am Allergic to My Cat? If you’re suffering from allergies, it seems fairly obvious with the itchy, red eyes and the sneezing – but narrowing your allergic reaction down to being one specific thing can be difficult. However, just because you’re suffering from allergies, doesn’t mean your cat is the true cause. Getting confirmation from a doctor, who can do skin and/or blood tests to check your allergies, is the best way to determine if you’re really allergic to cats. However, allergy tests aren’t always spot on and your doctor may recommend limiting your contact with cats for a few months to see if your allergies clear. If you already own a cat, think you may be allergic to them and want to be sure before you act – you can always ask a friend to adopt your cat for a while or consider putting them in a temporary home. You will need to consult with your doctor about how serious your allergies are, but if there are no life-threatening symptoms and you are willing to keep your feline friend (or adopt one) – that’s great! 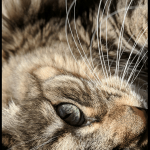 Although lower allergen producing cats may be a good choice for the future, if you already have a feline friend living with you – it’s understandable that you want to keep them around. In fact: This girl (Megan EasyToBeRaw) rid her allergies by living with a Russian Blue cat for a month. One of her commenters said that if you clean out your lymphatic system, you will notice a huge difference with your allergies! They are your family, after all. If you have to be around the cat(s) and suffer from allergies, there are also things you can do in your home to help minimize the effect you four-legged dander-machine will have on your sinuses. The Asthma and Allergy Foundation of America recommends making these simple lifestyle changes to help you and your cat breathe a little easier. Think of your wall to wall carpet as a giant magnet for all things allergy related. Regardless of how often you vacuum, carpet holds allergy-causing dust mites, pet dander, and pollen. The AAFA recommends replacing carpet with wood floors and using throw rugs able to be laundered in hot water to reduce the amount of stored allergen in your home. No matter how much your cat complains, keeping Fluffy out of the bedroom can also provide relief to those suffering from cat allergies. 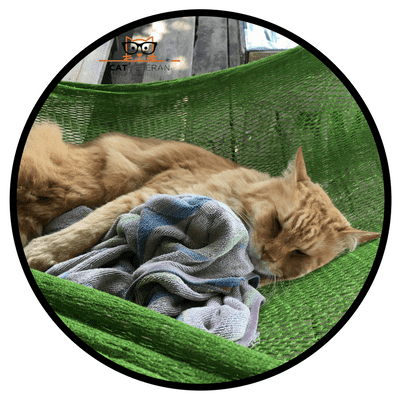 We spend a lot of time sleeping in our bedrooms, and keeping your kitty out of the room completely gives your body a much-needed break from constant exposure. Using a HEPA filter in your home can help by pulling allergens out of the air. After playing with your cat, wash your hands thoroughly and change your clothes to remove dander and saliva-covered hair from your body. Wash your kitty’s bed and food and water bowls regularly in hot water. These help to remove oil, dander and hair buildup that can eventually become odor-ific and grimy, as well as lowering allergen levels in your home. Bathing your cat every 6-8 weeks in a cat-allergy shampoo (this can help cleanse their fur of the Fel D1 secretions that commonly cause allergy symptoms). An air purifier can also help take allergens out of the air in your home (although expensive, a commercial air purifier will work best). Regularly changing your cat’s litter to get rid of odor and the smell also may help. 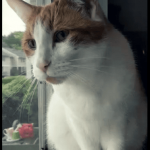 Medicine (holistic or otherwise) may be a great aid to you in your quest to fend off cat-related allergies, even if they don’t completely eliminate the problem. Below, I’ve compiled a list of natural and over-the-counter treatments for cat-related allergies. Essential oils (Eucalyptus and lemongrass oils for allergy relief). Ingesting more Quercetin (naturally occurring flavonoid) can regulate your production of the histamines that are responsible for your allergy symptoms. What Kind of Cat is Best to Get If I Am Allergic to Cats? 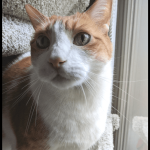 Finding the right kitty cat for you when you are allergic may include some light research (which we’ve done for you below) and some trial and error. It’s highly suggested you spend some time with the breed of cat you’re hoping to welcome into your home before you make any permanent decisions. First off, there is really no such thing as a truly hypoallergenic cat. As the dander and saliva are both culprits in the causes of allergies and all cats produce dander and saliva, you can see why there is no true allergy free kitty. There are some breeds that do cause fewer symptoms than others for a variety of reasons. In my research, one surprise I found was that male cats, especially those who are still intact, produce higher amounts of allergens. Kittens also tend to produce less allergen, but that could just be because they are smaller than their full-grown counterparts. There were some anecdotal stories that certain color cats caused more symptoms than others, but I couldn’t find any real research that backed that up. The main reasons certain breeds are called hypoallergenic is because of their ability to produce saliva and dander lower in allergy-causing proteins, have less hair to contend with, or in some cases, both. Different lists tend to include or leave off certain breeds, but here I included the ones that appeared the most often. These breeds actually produce less of the protein Fel D 1 that is associated with causing allergic symptoms. Even though the Siberian is known to be a rather fuzzy breed, the decreased amount of protein helps prove it’s the saliva, and not the hair itself causing the problem. It has been reported that about 75% of people allergic to cats have no reaction to the Siberian breed. This breed is also often called hypoallergenic and is a cross between domestic cats and the Asian Leopard Cat. Beautiful, friendly and rare, this breed is one you will pay handsomely for, usually about $2,000. They are not frequent groomers, so their coat will have less protein filled saliva to irritate a sensitive allergy sufferer. Often incorrectly called “hairless” cats these two breeds actually are covered in sparse, very short curly hair. The Cornish Rex is more high maintenance of the two, as both will require regular bathing to remove oil buildup that a Devon Rex produces less of. This breed has a medium length coat with no undercoat. Because of having a single layer of long silky hair, there is less hair to be covered in allergens after grooming. Another low producer of Fel D 1, Ocicats are great on that front but are known for their year-round prolific shedding. This breed has a thick double coat that actually traps dander close to the cat, and not allowing as much dander into the air. They also produce less Fel D 1, so this breed is a double-win for allergy sufferers. A true hairless cat, owning this breed will prevent the frequent vacuuming the rest of us from shedding cats are forced to endure. Instead of spending quality time with your vacuum, a Sphynx owner will need to invest in some good cat shampoo and plan to bathe Mr. Bigglesworth about once a week, along with cleaning their ears and nails to prevent a smelly gummy oil buildup on their skin. If you are blessed with not being allergic but don’t like the idea of cat hair on your furniture and clothing, aside from getting a hairless cat, like the suede-textured Sphynx, are there other options? This breed looks a lot like a sphinx at first glance, except with large, almond-shaped eyes. Another difference is this breed is almost hot to the touch, as they have a higher normal body temperature than a Sphynx, which helps them to stay healthier. These cats are particularly great for people who are perpetually cold as the Donskoy could practically double as a space heater with the amount of heat they throw. They are very susceptible to the cold, so they may require a sweater in colder weather. This breed is actually a cross between the Donskoy and an Oriental Shorthair. Like the Donskoy, this breed also originates from Russia. Ranging from nearly bald to sporting scant amounts of velvety hair, frequent vacuuming is not in your future when sharing space with a Peterbald. These are not a non-shedding breed, but a low shedding breed. Javanese are a long-haired breed, with a beautiful long silky coat with no undercoat. By only being covered in the top layer of longer guard hairs the amount of hair available to be shed decreases the amount of hair shed by about 2/3. Devon Rex and Cornish Rex. Another breed often erroneously considered hairless, they do sport a very short curly coat and no undercoat. Also a smaller cat than other breeds, their shedding will be minimal. Looking at this cat, you wouldn’t believe it to be a low shedder, but they are. With copious amounts of medium-length wavy hair, they are probably the biggest surprise on the list. Unlike most cats that drop hair year round, Russian Blues tend to blow their coats once or twice a year, leaving fuzzy trails only during that time. If you can tolerate a shedder for a few weeks once or twice a year, one of these sweet kitties will be an excellent choice. 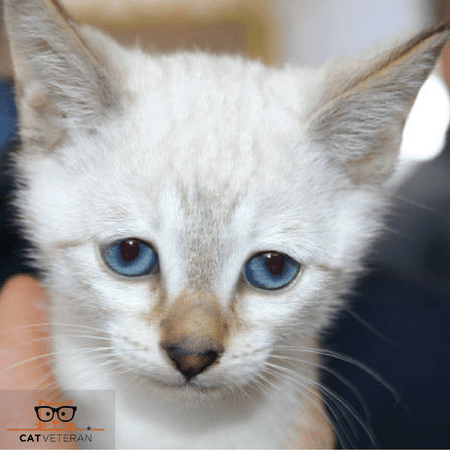 While these tips may help you in choosing a cat that best works for your allergies, the only sure-fire way to know which cat breed will cause you the least amount of allergies is trial and error. Perhaps spending time with the cat breed you would like to have in your home, whether through shelters, adoption/boarding programs or just hanging out with a friend’s cats for a few days a week. Every day, there are new advancements in both veterinary and human medicine that may someday soon find a cure for pet allergies beyond nasal mists, daily pills or weekly shots. 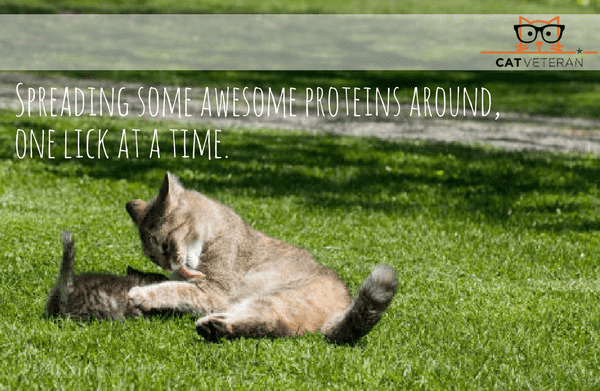 With regular advancements in genetics, someday scientists may breed a cat with different proteins less irritating to their caregivers. 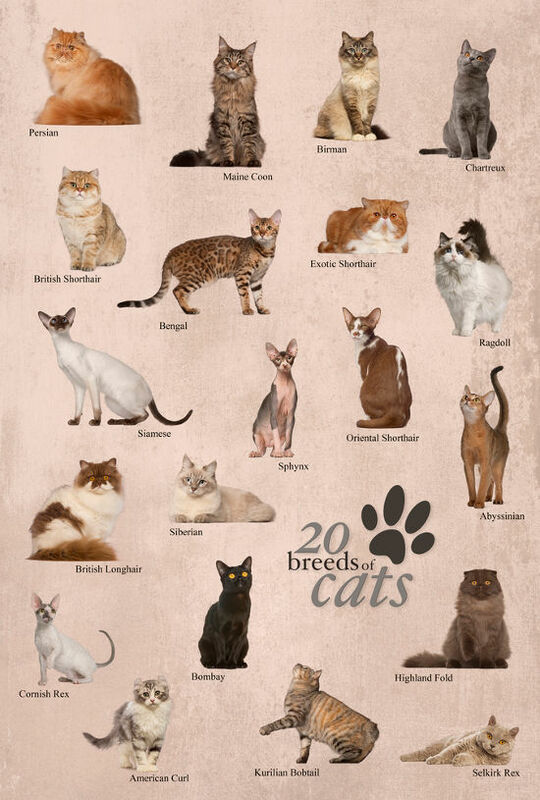 So regardless if you are trying to keep your white linens couches pristine or desperately want a cat but don’t want itchy eyes for the rest of your life, checking out some of these highlighted breeds could open up a world you never knew was possible. But until that time, my cats will happily immortalize themselves in my needlework one hair at a time. 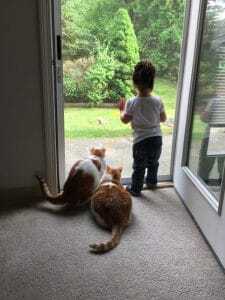 Jackson Galaxy – Cat Allergies?